We’re excited to introduce our new GroupFit program, which is based on a 16-week cycle for maximum improvements to your metabolic conditioning, leading to higher calorie burn and strength gains. This unique proprietary program is backed by countless hours of existing as well as ongoing research, all with the intent of helping you become fitter. So What’s New in the 16-Week Metabolic Cycle Program? 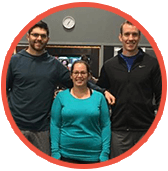 Some of you may be familiar with the GroupFit program at Chadwick’s Fitness, and curious about what sets the 16-week program apart. Let’s look at what we’ve introduced as part of the new program. Intensity Zones – There are many programs offering combined cardio and HIIT (High-Intensity Interval Training) workouts, which are great for burning fat and building strength. However, they tend to lack a cohesive and well-defined structure based on individual fitness levels and goals. Foundational Movements – We have introduced a set of foundational movements that help us establish a baseline fitness level for GroupFit participants. With the intent to build functional strength, trainers will test each participant on these movements, and track them through the GroupFit experience. This is basically meant to keep you from burning out during your GroupFit workouts, but it also helps maintain momentum in the right direction. The diagram above is an informational chart of different energy systems. 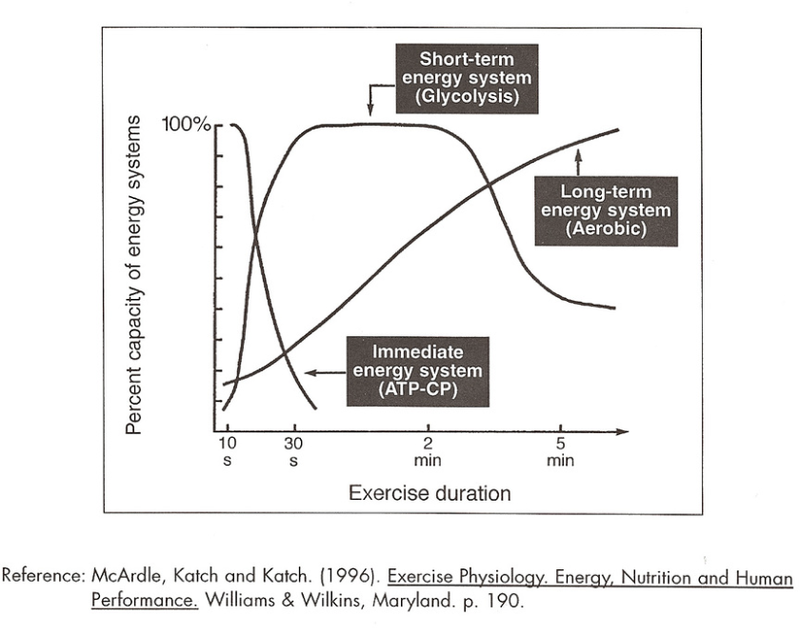 It shows when, during physical exertion, the body utilizes each one to create energy required for exercise. 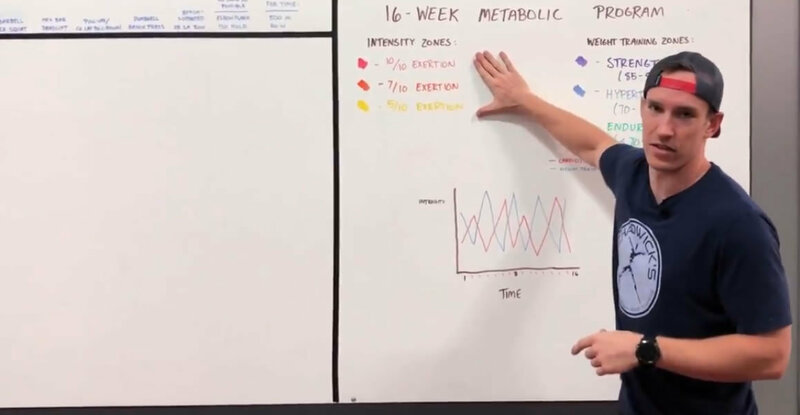 Chadwick’s new 16-week GroupFit program with a metabolic conditioning foundation offers benefits that you won’t get anywhere else. You really have to try it to experience the difference. Sign up for a 4 week trial at an introductory price of $50 today!